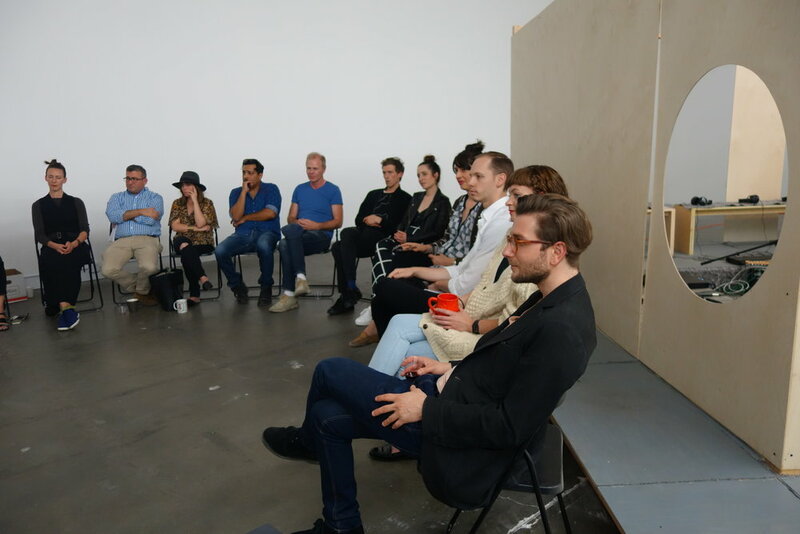 In April 2016, The Mistake Room will launch a new initiative committed to supporting performance and body-based practices through research, residencies, and exhibitions. 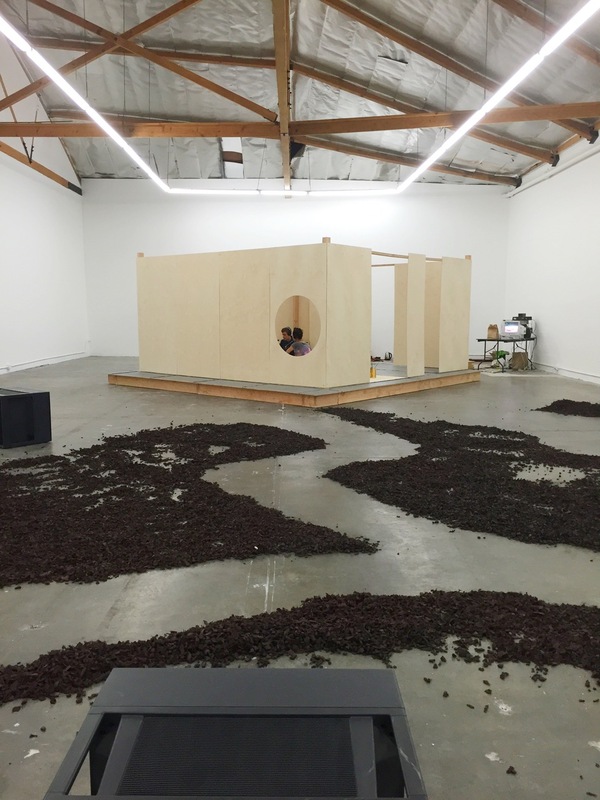 Conceived by Samara Kaplan, The Mistake Room’s Curator of Performance, Film, and Discursive Programs, this new focus within the organization’s broader curatorial program aims to explore performance as an intricate composite of processes and interactions rather than solely as a time-based object. To launch this new initiative, performers Jennie Liu and Andrew Gilbert will transform The Mistake Room’s main gallery into an artist studio, ceremony space, and performance venue. 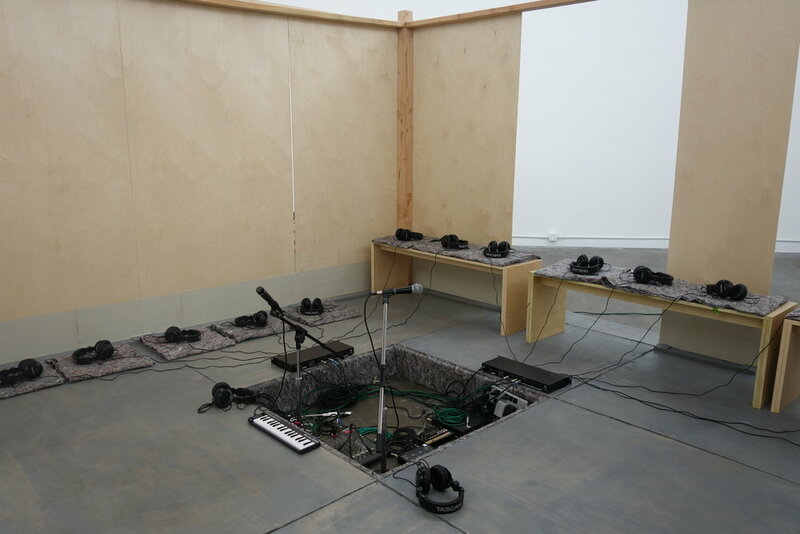 Over the duration of three weeks, during regular operating hours, Liu and Gilbert will periodically use the space to rehearse, ritualize and share their daily performance practice. Ethically and structurally informed by their ongoing study of the highly disciplined Urasenke tradition of Japanese tea ceremony, the artists’ practice is rooted in modes of shared learning of music pieces and choreographies both by peers and artists throughout history. Within the space visitors will encounter a large-scale house-like structure custom built by designer Shannon Scrofano, informed by attributes of traditional Japanese tea houses. For the final two weeks of the project, Liu and Gilbert will invite up to sixteen guests inside this structure to witness and participate in an original ceremony. Part electronic dance music recital, part travelogue of a creative journey, part biography of an artist relationship, guests will be absorbed into an elaborately coded system of interactions, designed to explore the idea that only within constraints lies the truest freedom. This project takes the residency model as a point of departure, approaching performance as a long-term multifaceted practice. In dismantling the hierarchy of performance-as-product, this project proposes a new way to exhibit research as art, facilitating an exchange of ideas around process. In a climate that encourages us to produce more things more quickly than ever, HOUSE MUSIC: A Residency forces us to slow down and consider the many aspects of long-term practices, rituals, and relationships that make them truly meaningful. HOUSE MUSIC: A Residency is organized by The Mistake Room and curated by Samara Kaplan, TMR Curator of Performance, Film, and Discursive Programs. Jennie Liu has made performances with a close, evolving group of performers and designers since 2005, and over the past three years using the host name Grand Lady Dance House. 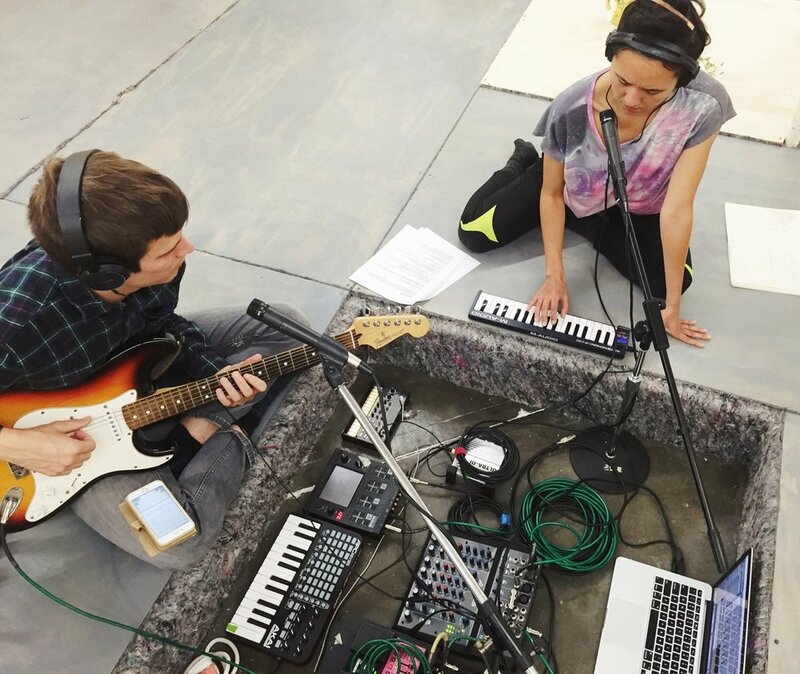 Her current project House Music, a collaboration with performer/musician Andrew Gilbert, has been developed and performed via the Prelude Festival (NYC) and the Live Arts Exchange festival (LA). Her last work Actress Fury was presented in development through REDCAT’s N.O.W. festival and PAM/Highland Park, and premiered at the Bushwick Starr in February 2014. Her work has been presented at venues including the former Dance Theater Workshop, HERE Arts Center, Brooklyn Arts Exchange, and Incubator Arts Center. She has been awarded residencies from the Bogliasco Foundation, Yaddo Arts Colony, Djerassi Resident Artist Program, Experimental Media and Performing Arts Center (EMPAC), and the Brooklyn Arts Exchange. She has received grants from the MAP Fund, Jerome Foundation, and the Center for Cultural Innovation. Liu received her BFA at the Experimental Theater Wing at New York University, and her MFA in Dance at Hollins University/American Dance Festival. As a performer Liu has worked with Big Dance Theater, Faye Driscoll Dance Group, Witness Relocation Company, Cathy Weis Projects, Poor Dog Group, and choreographer Adam Linder. Andrew Gilbert is a Los Angeles-based performer, musician, and teacher. In 2007 he co-founded Poor Dog Group, an experimental theater collective with whom he has developed six works as a performer and sound designer/composer. He has performed at venues including the Experimental Media and Performance Art Center (EMPAC), The Getty Villa, REDCAT, South Coast Repertory Theater, the Live Arts Exchange festival, Grotowski Institute in Poland, Bitef Theater in Serbia, and the Pula International Theater Festival in Croatia. Gilbert has also performed in the work of the Padua Playwrights, 24th Street Theater, and the Elephant Theater. Gilbert is one half of the band Royal Auditorium. He is a teaching-artist at a charter school in Inglewood as well as a commercial actor. Andrew is a graduate of Cal Arts’ Theater Program. Please note that in addition to scheduled performances, TMR will be open during regular hours. Development support of HOUSE MUSIC was provided through a residency with The Mistake Room and Show Box L.A.'s Los Angeles Dance & Research Residency Program, which is supported in part by an award from the National Endowment for the Arts. Photo Credit: The Mistake Room. Copyright 2016.